Orannia, thank you! 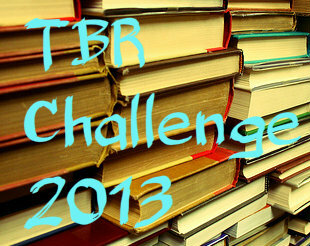 And, good luck with both the M/M Romance Challenge and the Big Book Challenge! I've enjoyed participating in both and they are fun. :) I read lots of big books in 2012, but knowing myself? If I joined that Big Book Challenge I wouldn't find one to read. LOL! Glad you're doing the Big Book Challenge again this year, orannia! I'll pick something to read soon. S.: Two other readers hosted this challenge before me, and the assigned dates were something that carried over. I've stuck with them because I like the idea of having a set day every month to read everybody's commentary :) If you look at a calendar, you'll notice the assigned days are always the third Wednesday of the month. Sorry for the messy speech! Sonia, why not join? Click on the icon on my sidebar and ask Wendy! I'm sure that she will be more than glad to help you along with this. :) Besides, the idea is to read and review from your TBR, and you can post on the scheduled Wednesday if you can, and if you can't leave a comment on Wendy's blog and post your review before or after. :) Try it anyway! It will be fun! Well, I've left a comment in her blog asking if it's ok to post after if I can't on time...but I'll try to read a book by those themes anyway..it will help for sure. I'm doing this one in 2013, too, Hils. I managed to read all 12 TBR books following the theme in 2012 although I was late finishing two and never reviewed them. I commented about them on twitter, though, so I'm telling myself I completed the challenge. LOL. I'm glad Jan. is short stories or novellas. I can get one month under my belt with confidence. haha! Good luck TBRing in 2013! Christine, so glad you are joining too! And you did complete it if you commented on twitter. :) I'm just sorry I missed your commentary on The Iron Duke by Meljean Brook, (I was looking forward to your thoughts on that one). I'm also glad that Jan is a short read! I have lots to read for January AND February with the other two sci-fi non-challenges I joined for 2013. Good luck to you with this challenge in 2013!